We welcome your prayers and financial support! Walter Martin's InfoNet is a 501(c)3 non-profit ministry and all your donations are completely tax deductible. You can mail your gift to the address at the bottom of this page or use the secure PayPal button below. 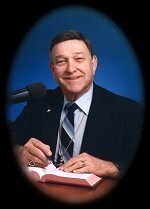 Help us bring the REAL Gospel, the REAL Spirit and the REAL Jesus to a new generation of listeners through the unique voice of Dr. Walter Martin.